Beverly Kay Clifford, 76 years of Hillsboro, passed away on Sunday September 16, 2018. She was born in Hillsboro on September 22, 1941, the daughter of the late Noah and Ada (Countryman) Simmons. Besides her parents, she is also preceded by her first husband, Richard Rowe and grandson, Jaydon Boggs. Beverly was a member of the Hillsboro Church of God, was involved with the W3CU bible study in Peebles and the Shiloh Recovery Ministries. Beverly is survived by her husband, Ronnie Clifford, Sr., whom were married on February 14, 2003, sons, Rick (Sherry) Rowe of Hillsboro and Jeff (Sandy) Rowe of Hillsboro, daughter, Angie (Darrell) Williams of New Vienna, step-son, Ronnie (Jennifer) Clifford, Jr. of Lynchburg, step-daughter, Penny (Chris Foster) Clifford of Grove City, sister, Shirley (Bob) Brewer of Peebles, 18 grandchildren: Brandon, Amber, Crystal, Richard, Ashley, Matt, Sarah, Uriah, Cassie, Chad, Clay, Hannah, Elijah, Elizabeth, Serena, Chelsea, Alicia and Cody, great grandchildren: Noah, Jonah, Thaddeus, Nathius, Silas, Ambreah, Makayla, Trenton, Bree, Ethan, little Richard, Brittany, Kassandra, Selena, Daisy, Kenzy, Hunter, Trenton, Ariel, Gracie, Isaiah, Cali, Madison, Levi, Aubriella, Lynnex, Hailey, Morgan, Chloe, Luke, Aiden and Bristol and special friend, Elsie Ranken. Funeral Services will be 11:00 AM Friday September 21, 2018 at the Hillsboro Church of God. Burial will follow at the Hillsboro Cemetery. Friends may call from 5:00 PM to 8:00 PM Thursday September 20, 2018 at the church. Donations can be made to the Shiloh Recovery Ministries. 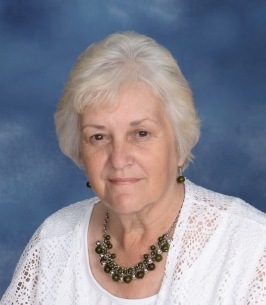 To send flowers to the family of Beverly Clifford, please visit our Heartfelt Sympathies Store. We encourage you to share any memorable photos or stories about Beverly. All tributes placed on and purchased through this memorial website will remain on in perpetuity for future generations. So sorry for the loss of a wife, stepmother, and sister. I went to church with Ronnie, school with Penny and Shirley is my neighbor. I will be praying for everyone. Ronnie & Family ,So very sorry for your loss My prayers are with you during this time. My sincerest condolences to the family. Bev was so kind to me. She would drive to my house in Leesburg to pick me and my son up so that we could go to church. She loved her family very much and worked nonstop to take care of them. I can only imagine the reunion in heaven!